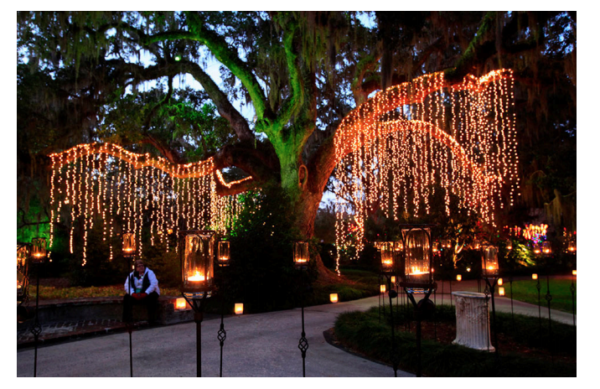 Live oak tree decorated with string lights. Can be in the distance or close-up shot. If it’s close-up, it doesn’t have to be a live oak tree, but must look similar. Possibly in a park setting.